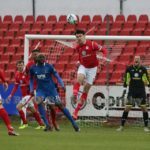 David Cawley’s late goal was not enough as Sligo Rovers were beaten by St Patrick’s Athletic. 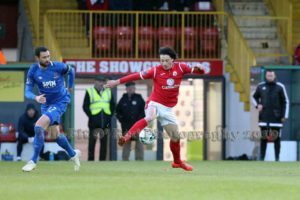 Chris Forrester and a Mikey Drennan penalty had given the Saints the advantage. Rovers were impressive for periods in the second half but couldn’t find the net until Cawley’s goal two minutes from time. A generally dour opening to the game was thankfully lifted nine minutes later with a moment of inspiration from Forrester. 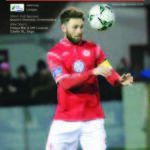 Sligo central defender John Mahon miscontrolled a long ball over the top with his chest. 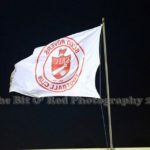 It ran loose into the path of Forrester who nonchalantly lobbed the ball over ‘keeper Mitchell Beeney for his first goal for the club since his cross channel return. The visitors were stretched six minutes later as Dave Webster’s ball down the right gave Drennan a run. The striker bustled his way past Lewis Banks to bring a save with his body from Beeney. Pat’s had their second when Drennan was granted a fortuitous penalty on 24 minutes. 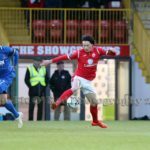 Though Forrester was fouled following a clever dribble, referee Rob Hennessy played an advantage. The ball broke for Conor Clifford whose low drive sent Beeney diving down to the right corner of his goal to bat the shot away. The move of the half from St Pat’s was then thwarted by frantic defending a minute before the interval. Drennan, skipper Ian Bermingham and Clifford were all involved before Forrester’s shot was bravely blocked by Rovers left-back Banks. 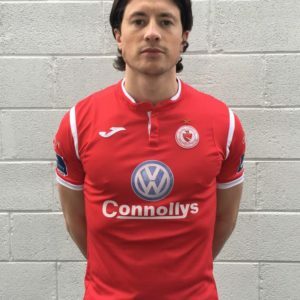 With Kris Twardeck on from the restart, Sligo had a little more about them, striker Romeo Parkes audaciously shooting off target from close to the halfway line minutes in. St Patrick’s soon regained control, however, with the hardworking Clifford rifling a shot narrowly over Beeney’s crossbar just before the hour. Beeney was worked 12 minutes later by the impressive Forrester confidently hitting a first time volley from distance. Gary Shaw was then inches from extending St Patrick’s winning margin on 81 minutes, his header from Clifford’s cross shaving the bar. 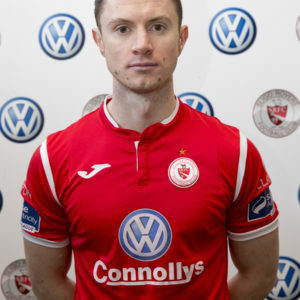 Despite that, St Pat’s had to endure a nervous finish when Sligo skipper David Cawley drilled home from close range following Banks’ assist on 88 minutes for the visitors’ consolation. 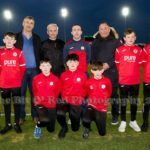 St Patrick’s Athletic: Brendan Clarke; Dave Webster, Ciaran Kelly, Lee Desmond; Simon Madden, Chris Forrester (Cian Coleman 79), Rhys McCabe, Conor Clifford, Ian Bermingham; Gary Shaw (Jake Walker 90+2), Mikey Drennan. 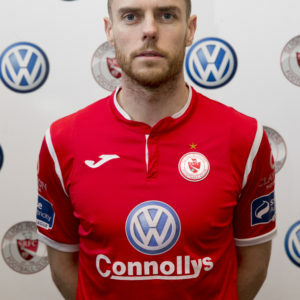 Sligo Rovers: Mitchell Beeney; John Dunleavy, Dante Leverock, John Mahon, Lewis Banks; Niall Morahan (Kris Twardeck h-t), David Cawley; Jack Keaney, Daryl Fordyce (Liam Kerrigan 69), Ronan Coughlan; Romeo Parkes. 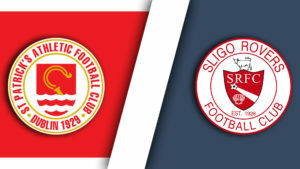 Sligo Rovers are back in action on Friday night as we travel to Dublin to take on St Patrick’s Athletic in Richmond Park. 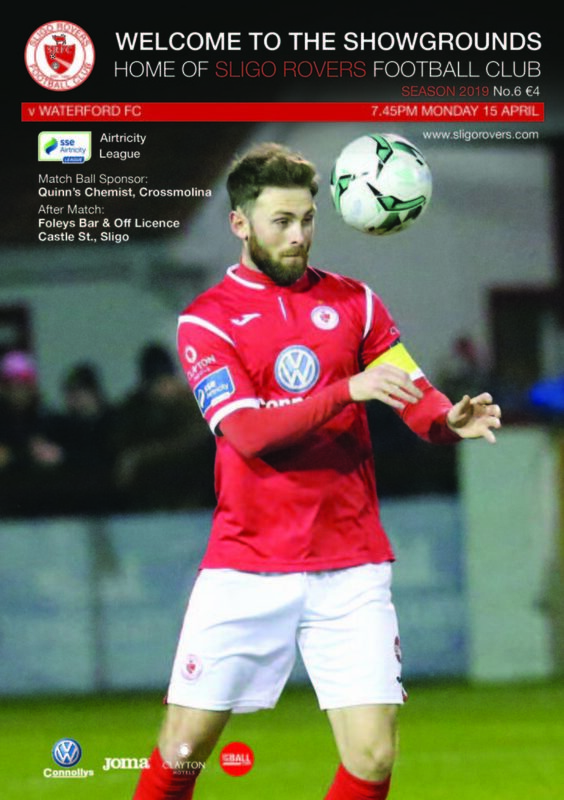 Rovers drew 0-0 with Waterford last Monday and go in search of a second away win of the season. 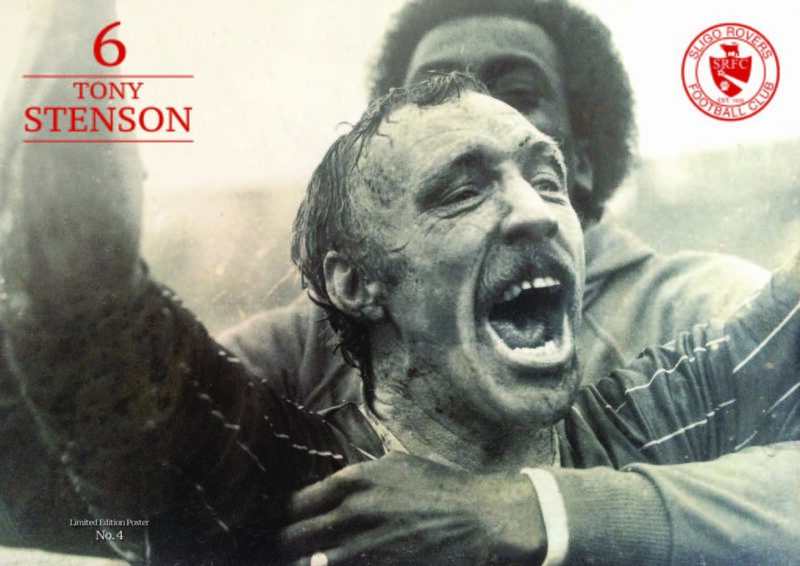 The previous victory was against Finn Harps. In team news, Ed McGinty has returned to training following a finger injury. Ronan Murray serves the third of a four-game ban. Liam Buckley said: “I think in recent matches the signs have been better. The weather scuppered it for both teams last Monday. 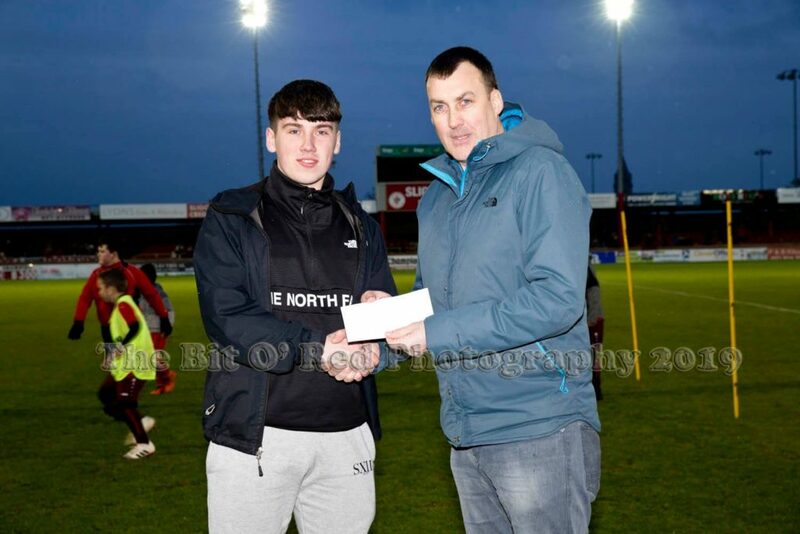 We were looking for a performance again as in the first half of the Bohs game and beating Dundalk we have seen an improvement. “The point on Monday was a fair result and the conditions made it difficult so on Friday we’d like to show what we can do a bit more. 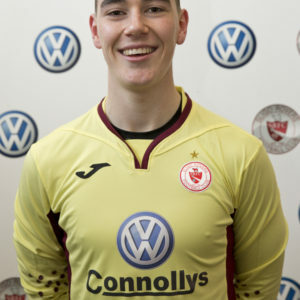 “It’s great to have Ed back to add to the competition because there are three very good goalkeepers within our ranks and I want them all pushing each other for every game. “This is an important game for both sides, we’re a point behind Pat’s and getting up the table is our priority. 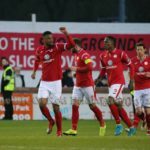 “You can’t ask players to play Friday-Monday three times or eight games in a month, however you look at it, so over this period you will see changes by managers. “That said, we’re adapting our training so we’re planning as best we can and the lads are really bought into what we’re trying to do. They are looking forward to this game and in the first meeting there was nothing really in it. “I had great years at Pat’s. But going back there isn’t really on my mind on at all or a distraction because my only priority is getting the victory. That is all I’m focused on. Tickets are now on sale for the 2019 Annual Draw – the key fundraiser for Sligo Rovers in the season. 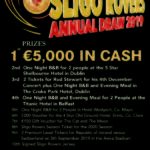 There is €5,000 to be won among a host of prizes. 6,400 tickets were sold last year in the most successful staging of the draw since it began. Tickets are priced €10 and are available online here , home games and from members of our committee. 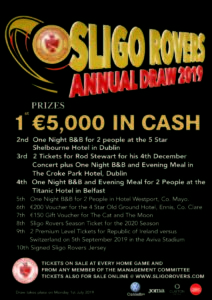 3rd prize: Two tickets for Rod Stewart for his 4th December Concert plus One Night B&B and Evening Meal in The Croke Park Hotel. 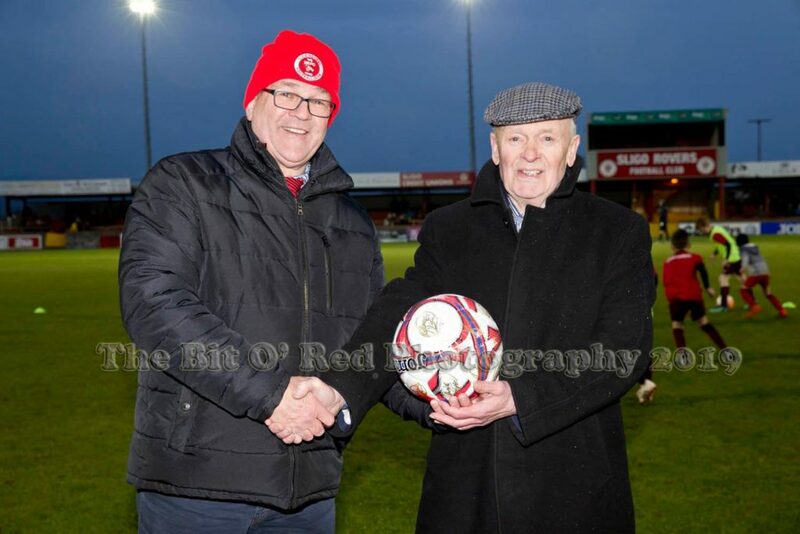 Sligo Rovers would like to thank both the Match Sponsor and Match Ball Sponsor from our home games against Dundalk and Waterford respectively. 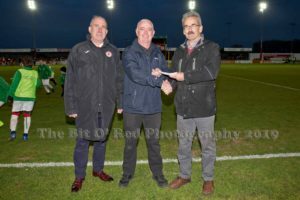 The Match Sponsor against Dundalk was Foleys Bar & Off Licence, Castle St Sligo while the Match Ball was sponsored by Cot & Cobble Ballina. 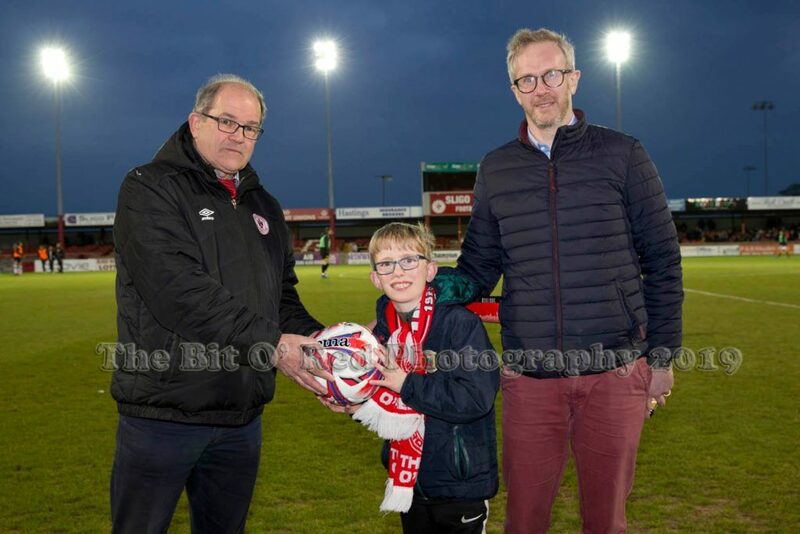 The Match Sponsor against Waterford was Cadden Monumental Sculptors while the Match Ball was sponsored by Quinns Chemist, Crossmolina. 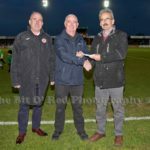 Our thanks to all four businesses for their continued support of the club. We are heading towards the end of the Premier League season with just five rounds of fixtures to complete before yet another season finishes up. 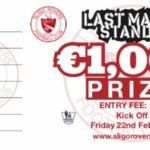 There are now just 113 players left standing in our LMS competition, with each and everyone of them eyeing the top prize of €1,000 for the winner. All players who have successfully made it through to round eight will be contacted by the club later tonight. For those of you who wish to do their homework early this week ahead of the weekends fixtures, below is a full list of fixtures for round eight. 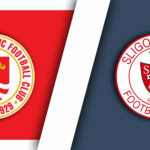 You can send your selections to shane@sligorovers.com or alternatively text your selection along with your name to 086-4554265. Reminder you cannot pick the same team twice. For example if you picked Man City in round one you cannot pick them again in the competition. It also features an exclusive interview with Seamus Coleman.